Early season snow falls and dropping temperatures mean that the ski season is just around the corner for west coast resorts. 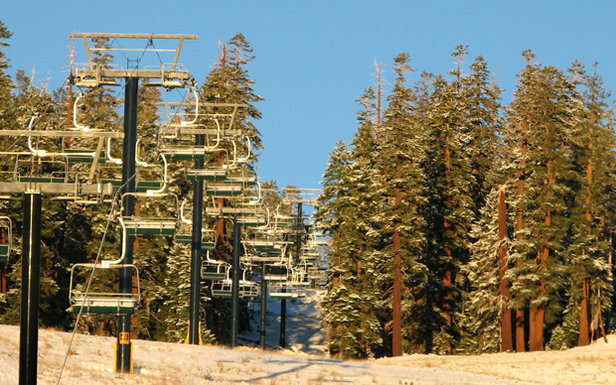 Boreal Mountain is set to open on Wednesday, Nov. 6, and Mammoth Mountain will join them on Thursday, Nov. 7, as the second west coast resort to open for the 2013/2014 season. Celebrating their 60th season, Mammoth will be offering discount lift tickets opening weekend and deals on select lodging, along with a chance to ski free opening day. The popular resort will also play host to a weekend jam packed with events, including live music on the deck, evening concerts, movie premieres and more. In other news, participating Lake Tahoe resorts are offering two free lift tickets with the purchase of a Lake Tahoe license plate in California or Nevada, thanks to the Tahoe Fund's "Plates for Powder" promotion.